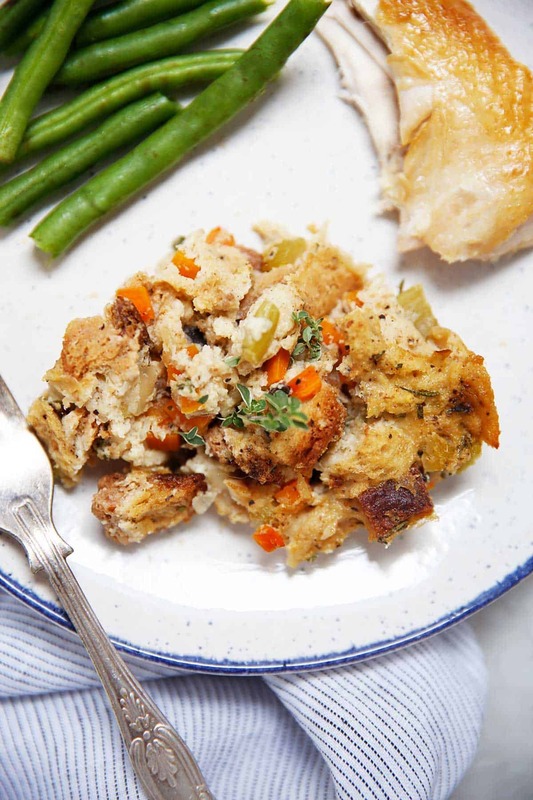 On the lookout for the best gluten free stuffing to add to your Thanksgiving table? We have got you covered! 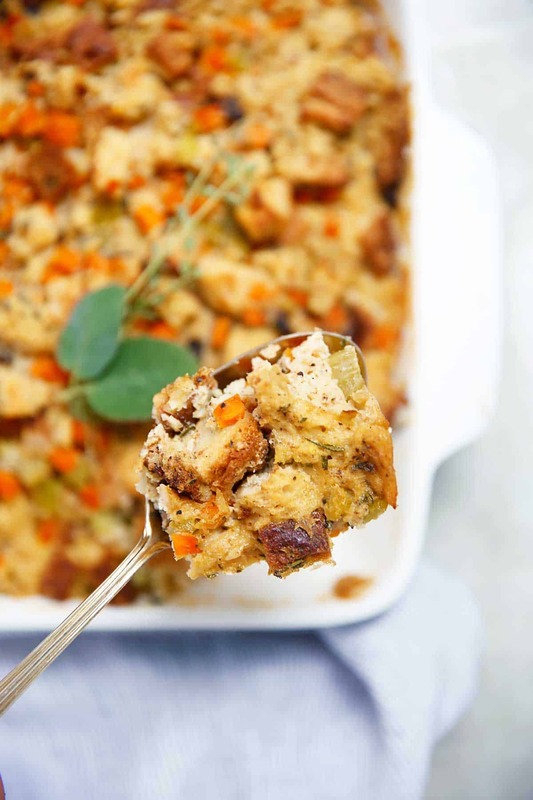 This Easy Gluten-Free Thanksgiving Stuffing is packed with fresh herbs, hearty, easy & delicious! Perfect for your gluten-free guests this Thanksgiving as a Stove Top Copycat! I grew up on Stove Top stuffing. Honestly, I loved it! I’ve worked on this stuffing for a long time now. I’m PICKY with stuffing, you guys! It can’t be too dry, it can’t be TOO mushy, but has to be just right. What optional add-ins can I add? 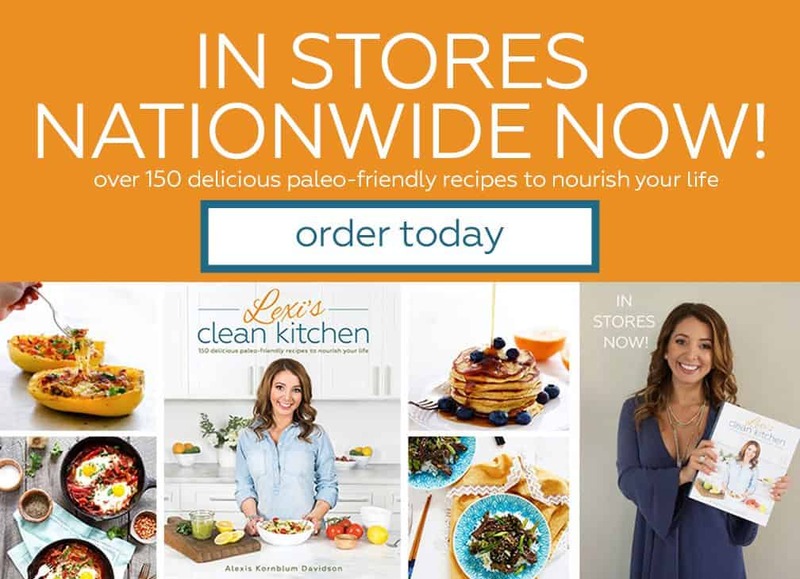 Now you can use my bread recipe (doubled) that so many of you love, to make it grain-free, or grab a loaf of you favorite gluten-free bread from the store! 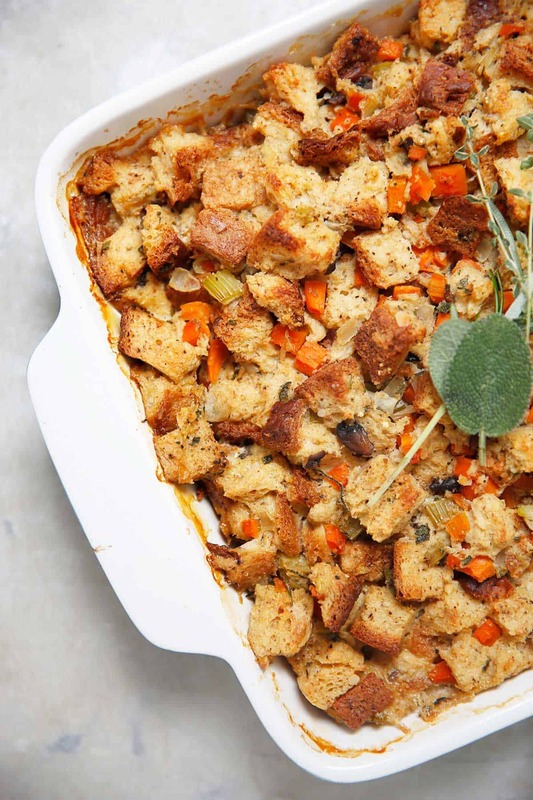 The breads may be slightly different depending on which you buy, but the essential stuffing flavors are spot on! Load your plate up and top it up with ALL the gravy! Cut bread into bite-size pieces and place the breadcrumbs in a large bowl. Set aside. Heat the stock in a small saucepan over high heat until boiling. Reduce the heat to low and let simmer uncovered. Set a large saute pan over medium-high heat and warm the butter. When the butter moves around the pan easily, add the mushrooms. Cook until the mushrooms are brown and all of the liquid has been cooked out. Add the celery, carrots and onion and garlic. Cook, stirring, until soft and translucent, about 7 minutes. Add the rosemary, sage and thyme and cook, stirring, until they release their fragrance, about 1 minute. Add the celery mixture to the bread cubes and toss to combine. Transfer to a casserole pan. In a medium mixing bowl, whisk together the eggs. Add the coconut aminos to the mixture. Working in batches, pour a few tablespoons of the hot stock into the beaten eggs and quickly whisk until the stock is fully incorporated. Slowly add the remaining stock, continuing to stir. Pour the eggy stock over the pan of bread cubes. Press down on the cubes with your hands to distribute the liquid evenly. Add salt and pepper. Cover the casserole pan with foil and bake for 20 minutes. Remove the foil and cook until the stuffing is steaming hot and browned, but not dry, about 20 minutes more. Make sure you dry out your bread either overnight or toast it until dried out. 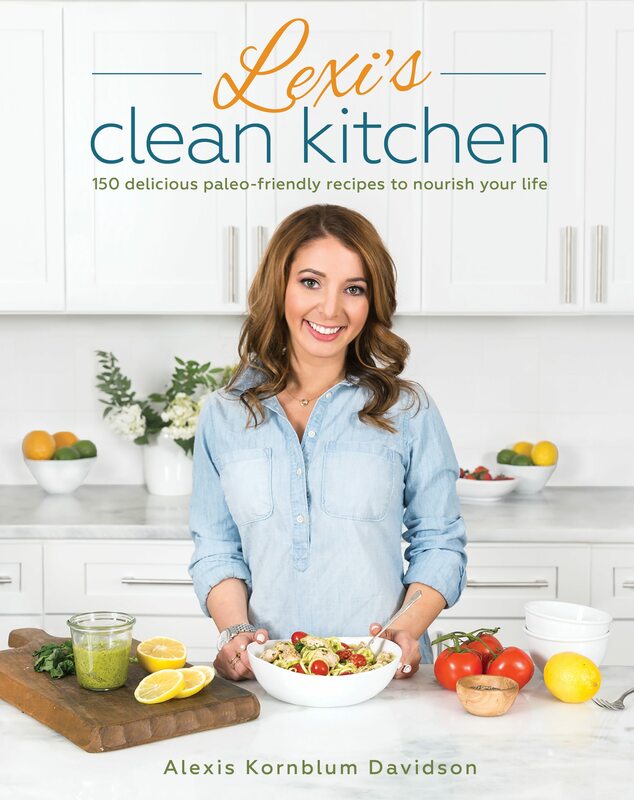 For my sandwich bread, see page 80 of the Lexi's Clean Kitchen Cookbook or double this recipe. DON'T over mix when combining all the ingredients or else your bread will begin to get soggy. 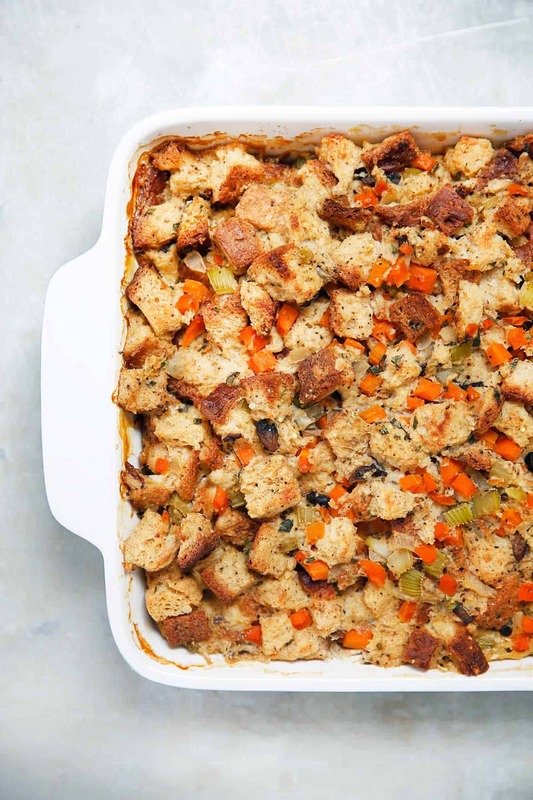 This stuffing just got me SO excited for Thanksgiving prep! Looking forward to trying this stuffing this week! Just wanted to double check though… 2 cups of mushrooms total, just cut differently? Thank you! I just made this in preparation for tomorrow, and it looks SO good! My question now that it’s all mixed is: why do I still have the coconut aminos untouched? Ha! I didn’t realize until I started putting things away that I never used it. I just reread the recipe and couldn’t find when I was supposed to add it in. I am using this stuffing to make stuffed tempeh. 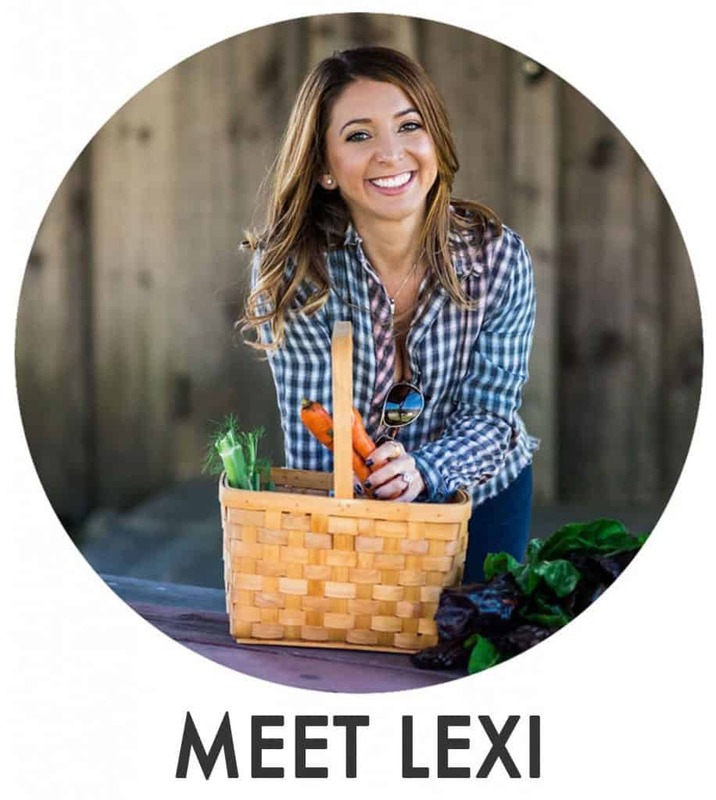 I need to bake the tempeh with stuffing inside it. Should I bake only first 20 minutes, them stuff tempeh and finish baking? Tempeh bakes for an hour. Looks a wonderful recipe! When should the apples and sausage be added?